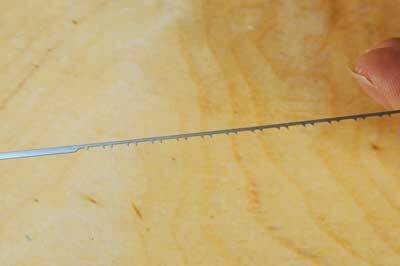 "Can I have some general purpose fretsaw blades? '- if I had a pound for every time I have been on the receiving end of this request over the last 20 years, I would have retired a millionaire. Often this request was met with consternation when I politely countered that there was no such animal as a 'general purpose' blade and asked the questioner, wishing to establish the best blade for their requirements, "What are you trying to cut?" 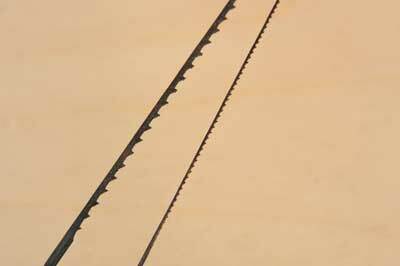 There are two main types of blades that fit into today's machine fretsaws, which are commonly referred to now by the American terminology 'scrollsaws'. There are the machines that take pinned blades and those that accommodate plain blades, held at each end by some form of pivoting clamps or mechanisms. Dependent on which type of machine you possess, your choices will vary, because with the traditional plain-ended blades, you will be confronted with a plethora of blade types and tooth configurations, while the pin-ended blades are available in a much reduced range. 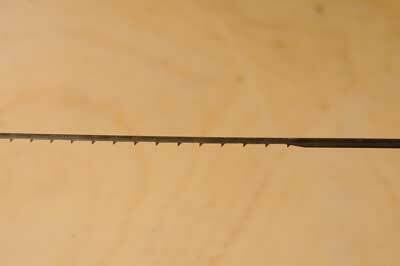 In this article, I will deal exclusively with the blades required for cutting wood, known collectively as fretsaw blades, and exclude from the discussion those used for cutting hard metals, which are correctly referred to as piercing saw blades. 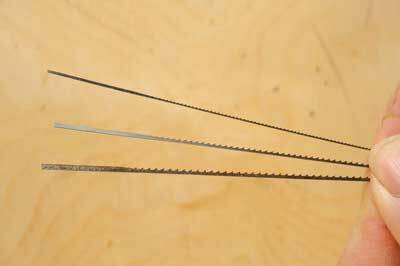 All fretsaw blades are cut as skip-tooth blades, and this is confirmed by the flat-bottomed gullet that exists between each tooth, providing a large space to aid the removal of sawdust. As the blades progress to the coarser grades, the space provided by the gullet increases in size to accommodate the greater amount of waste produced. Sawdust waste is your enemy as, if this is not cleared efficiently, it will cause increased friction, resulting in burning. This is unsightly on your work and detrimental to blade life. The grading system commonly used for blades has been in existence for over 200 years and is used by all European blade manufacturers and Olson in America. While you may find blades of eastern origin not conforming to this system, it is the most consistent system to determine your blade requirement. Blades were originally, when painstakingly cut by hand, numbered in grades from 1-16 with 'grade 1' being the finest and 'grade 16' being the coarsest. Then along came the mechanical manufacture, offering the possibility to produce even finer blades; so to continue a numbering system lower than grade 1 the grades '000000' to '0' were devised. 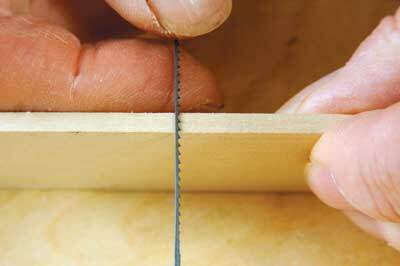 These days you rarely get fretsaw blades in grades below '00' or above 'grade 12'. You will notice from the chart on page 69 that, as the grades get coarser, the blades increase in dimension, causing a wider and wider blade kerf, which may or may not be desirable depending on what you are making. 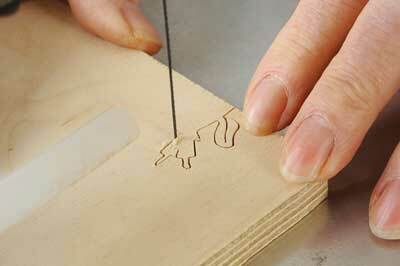 Cutting the outside of a shape it may not matter, but when cutting a fine puzzle or doing marquetry, it does! To make sure the blade is fine enough, place the blade against the edge of the work and ensure that as you move the blade up and down, at least two teeth remain in contact with the material at all times. 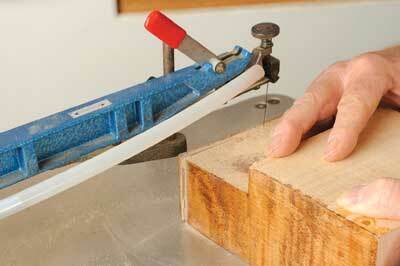 This ensures that the blade cutting edge is adequately supported by the work. 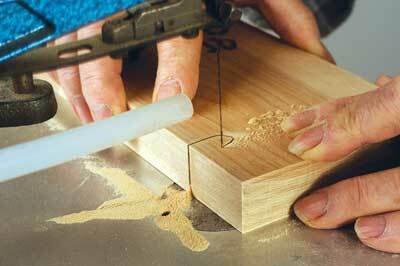 Without this support, snagging occurs as you push the work against the cutting edge. When attempting a right angle, remember to ease all forward pressure, pivot the work through 90° on the round back, present on all European-made blades, then recommence forward pressure. 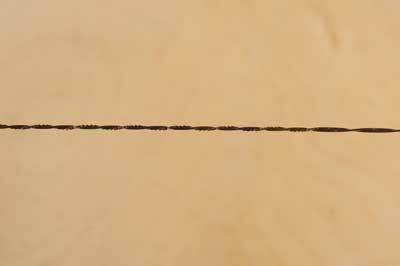 Fine and intricate work will necessitate the use of quite fine blades, but because of their diminished cross section, they will bend more easily and, in the hands of the inexperienced, it can be tricky to follow a line as any side pressure will distort their travel. 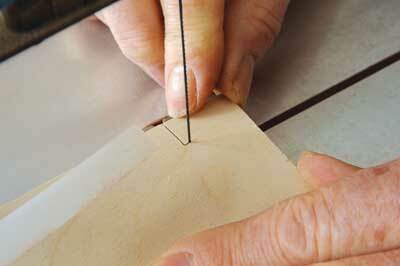 It is always good advice to practise with fine blades before you attempt any work that matters. Many people select far too fine a blade because they assume that if they select a coarse blade, then this will limit the radius they can cut. 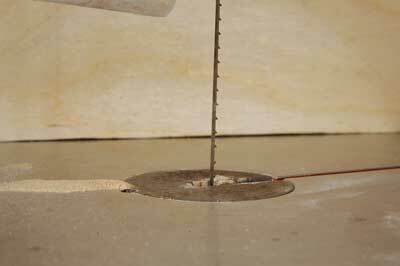 Certainly this can limit your ability to cut tight curves, but the machine you are using has a far greater effect on the minimum radius obtainable with any grade of blade. So why not try your machine with different blades? 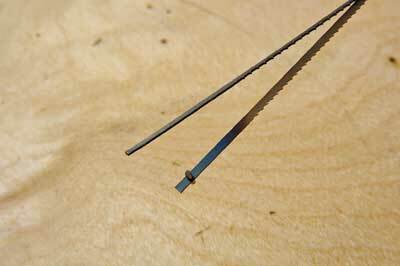 You may be pleasantly surprised how small a radius you can achieve with a relatively coarse blade. With materials above 12-16mm, you have the issue of clearing the sawdust waste. A lot will depend on the cutting stroke length of your machine as, if the thickness of material is less than the stroke length, clearing material is not an issue. 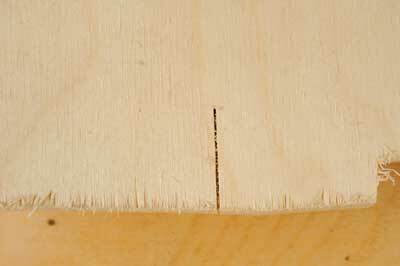 As the thickness of timber increases beyond the stroke length, greater amounts of waste will remain around the blade, frictional heat will build up and burning and premature blade breakage can occur. 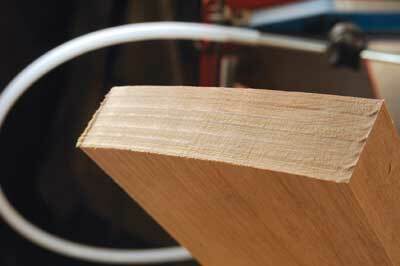 To avoid this, select coarser grades of blades, especially when cutting fine grade timbers. 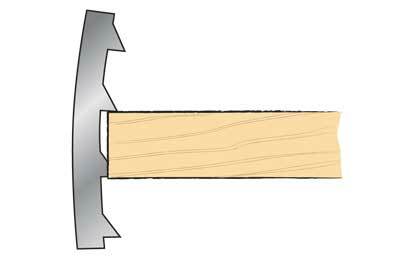 If the throat of your machine can accommodate it, timber can be cut up to 50mm-thick but only easily with the coarsest of blades and sometimes you may have to use a machine coping blade for close-grained timbers - these are heavier and have coarser teeth. For the tightest radius, the blade has to be vertical throughout its travel and with the very best machines, it is perfectly possible to cut a right angle with a coarse gauge 12 blade. 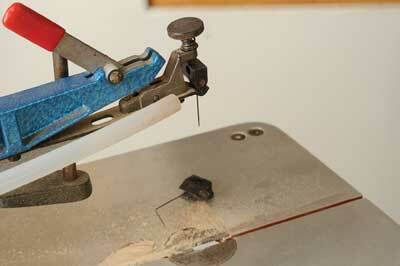 Thinner materials pose the most problems when selecting blades. If the blade is too coarse, then the blade will snag on the material and will break the blade, jam in the material or, in the case of thin veneers, tear them. Simply consisting of a standard skip-tooth blade that is twisted before being hardened, these seem like the answer to your prayers. Cutting in all directions, you do not have to turn the work but instead push in the direction you wish to go. This is not as easy as it appears as, unless you get the pressure just right, it can be very difficult to follow a drawn line. Furthermore, unlike conventional blades, which leave a relatively smooth finish, spiral blades leave an edge, which will need considerable cleaning up. Gauging the reaction of customers over the years, some swear by them but the vast majority give them a go only once. These are a skip-tooth blade with every third tooth missing. 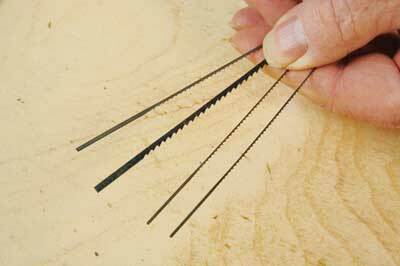 If you are having problems with burning because the waste is not clearing properly, these are designed to help with the problem, giving a lot more room for the sawdust particles to escape. A concept originally designed by Olson the American blademaker, these use an entirely different tooth shape, much like tiny pin teeth, with an extremely large gullet between the teeth. These are highly efficient at removing the waste material and therefore tend to cut faster and last longer, as they do not suffer so much overheating due to friction. Some European makers now do similar blades. These blades are more expensive but you may consider the longer blade life and faster cutting, which, in my opinion, is a price worth paying for. Designed to combat breakout on the underside of a piece of work, these blades have the bottom few teeth facing upwards. Some machines, however, have quite a distance between the bottom arm and the tabletop. Because of this I have come across a number of machines where the reverse-facing teeth do not even protrude above the table surface and therefore have no effect. If your machine is like this, do not despair: you should use the traditional method of using standard skip-tooth blades and putting a piece of sacrificial scrap material under your work; this will eliminate any breakout on your masterpiece. You will have noticed that no guarding has been used in the photographs accompanying this article. This has been done to make the photos clearer. 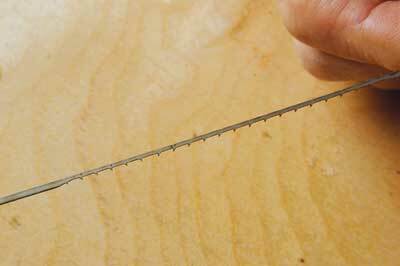 A word of caution: while all fretsaws can be used safely without cutting off a limb or a digit, because you sometimes have to work with your fingers perilously near the blade, most injuries are superficial. However, when nicked by the needle-like teeth of a speed blade, you really do say 'ouch!' Certainly no child should be allowed to operate a saw without a guard fitted correctly. Most professional users of scrollsaws do not use a guard as the most serious injury I can confirm, from experience, is a light scratch. It is therefore your own decision as to whether or not you use a guard. 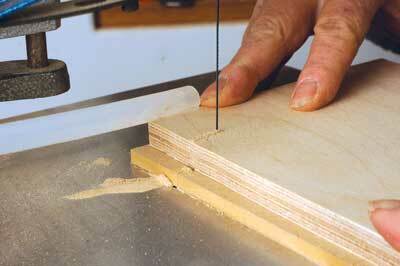 There are certainly many cutting operations that you will find much easier to accomplish without a guard fitted. I could quite possibly write a whole book on blade selection but it would undoubtedly be a good cure for insomnia. Quite simply, when choosing a blade, you need to consider the thickness of the timber and the closeness of the grain, how intricate a design you are undertaking and whether or not it matters how wide the kerf is. 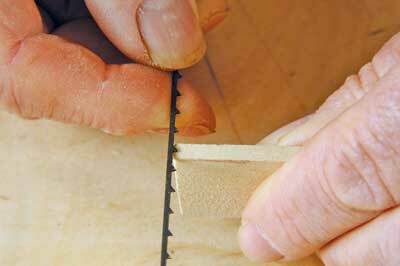 Never use a blade finer than you need to; it will just make the work harder. 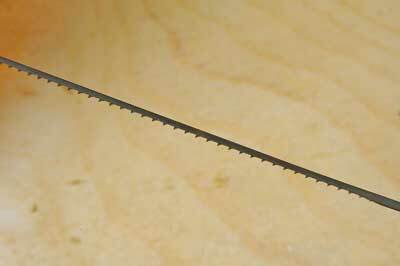 Unfortunately, there is no such thing as a general purpose blade but I would recommend that you have in your blade collection at least some standard fretsaw blades of grades 1, 5 and 9. 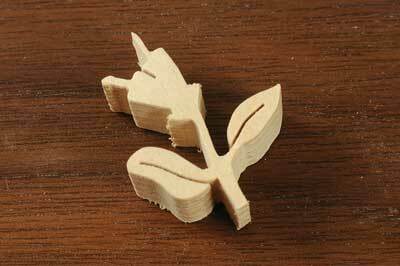 With these, you can undertake most tasks in most wood-based materials, besides plastics and some soft metals. Pick up the second copy of our brand new magazine today!